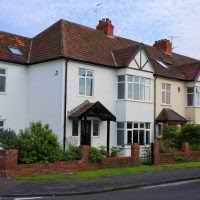 Households across the UK are more optimistic about property prices than they were just after the country voted to leave the European Union, the latest sentiment index shows. The House Price Sentiment Index (HPSI) from Knight Frank and IHS Markit has been above 50 for four months in a row following a low recorded in July although November’s reading was a slight decrease from the 55.7 recorded in October but looking ahead the outlook is even more positive. November is also the second consecutive month during which household perceptions eased, but the index report says this mirrors the wider trend in house price growth since the referendum vote and suggests stability but there is north/south divide. Households in seven of the 11 of the regions covered by the index perceived that the value of their property rose in November, with households in the South East reporting the biggest rise at 61.9, followed by those in London with a figure of 60 and the East of England at 59.4. But it was a different story further north with households in the North East at 49.3 and Yorkshire at 49.9 believing that prices fell over the course of the month, while those in Scotland and the North West at 50 perceived no change in the value of their homes over the course of the month. The future House Price Sentiment Index, which measures what households think will happen to the value of their property over the next year, rose in November to 64.6 from 62.9 in October. ‘Sentiment in the housing market is finding a post-EU vote stability. While households are confident that the value of their home is rising and will continue to do so over the next 12 months, they expect the velocity of this change to be lower than before June’s vote,’ she said. ‘This chimes with the increased economic uncertainty as the UK starts to negotiate its way out of the EU. However, opinions on the housing market are also formed at a local level, and in many cases markets are characterised by a lack of supply of homes to purchase, which is underpinning pricing,’ she added. According to Tim Moore, senior economist at IHS Markit, it is good news that optimism is up sharply from its post-referendum lows. ‘However, the strength of the rebound moderated since October and confidence levels are now comparable with those seen in the middle of 2013, when UK house price inflation was running in the low single digits,’ he explained. ‘Households are also relatively cautious about the outlook for house price growth in 2017, suggesting that heightened economic and political uncertainty remain headwinds to confidence. Meanwhile, the influence of supply constraints on house price expectations appears evident in latest figures. Most notably, people living in London and its commuter regions were far more likely to anticipate higher property values in 2017 than the rest of the UK,’ he concluded.